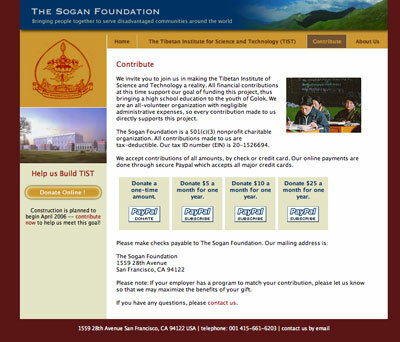 The Sogan Foundation is a nonprofit charitable organization founded by Ven. Sogan Rinpoche (Tulku Pema Lodoe). Through compassionate giving and service, the Foundation aspires to bring hope and opportunity to disadvantaged communities. 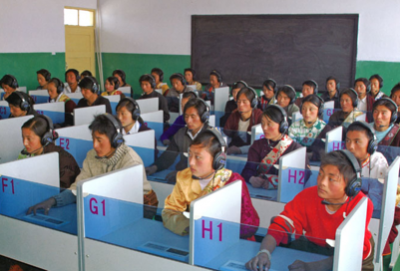 We provided our services to the Sogan Foundation pro bono in support of their efforts to build the first science and technology school in Tibet. 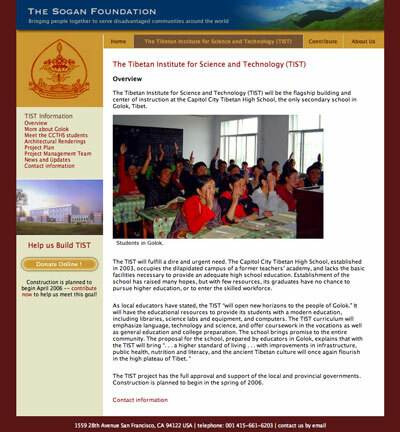 We designed and developed the first website to publicize and help in fundraising efforts. 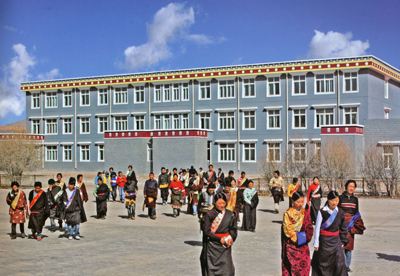 We’re happy to report that The Tibetan Institute of Science and Technology was completed and fully operational for students by January 2008. Website design, development, online donations, and content management system implementation. I want to thank you for the work you have done to create and improve the website. The changes that you have made are excellent and make the site much easier to view.